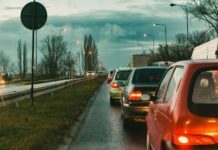 Home CAR BATTERY TIPS How Long Can A Car Sit Before The Battery Dies? Every now and then, we see car owners shaking their heads with dismay because it feels like they’re wasting their money for car batteries. There are cases where they had to change one even if they just bought it last week. I stumbled upon someone who asked, “How long can a car sit before the battery dies?” He said he had to change his before he rarely used his car. Car batteries usually last in two or three years. If someone sells you a model that says it has an extended life capability, I suggest you keep your receipt and get a warranty card for it – because chances are, you will need it for repair or replacement. If your car has a lot of accessories in it, this is too good to be true. It is a good thing if a car battery last until four years, it only means that you are doing a good job taking care of it. Manufacturers say that these batteries will last five years or more, but we hate to break your bubble – that is not true. Now, since we are already aware that a car battery won’t last that long, the question is, how long can a car sit unused before the battery dies? It’s a tough question. We won’t be able to calculate the exact time, but there are things to consider to know how long a car can remain not moving before its battery dies. A new car battery, fully charged can last at least two weeks without charging from the generator. It will get discharged entirely from 2 to 3 months. You won’t be able to start the engine of that car if you are planning to leave it for 2.5 months on average. The longevity of the battery’s life also depends on the devices that are still functioning while your car is not moving or when on your garage. These devices are the air-conditioning system, headlamps, radio system, or even the alarm system (that needs to be on most of the time). They are the main reason for parasitic drain. These devices need energy, and they are taking it from the car’s battery. How to Identify If the Car’s Battery Is Dead Or About To Die? 1. Your car engine doesn’t start, but it cranks. Yes, your engine turns over when you let in the key – but for the nth time, it won’t start. Who else to blame? The battery. 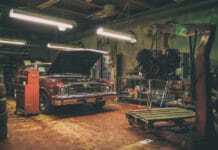 Some people will say that it could be the alternator, the starter, or a different part of the car is messing it up, but a large percentage goes to the battery malfunctioning. Never fully trust your ammeter saying that the battery is still good. 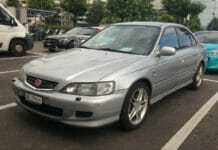 Yes, it could be good but seeing that status is not sufficient to run your car efficiently. Thus, stressing the obvious that your battery is about to die. 2. Your engine might work fine today but won’t start all tomorrow. You are starting to get annoyed because it happens almost every other week – or worse, every other day. If this becomes an intermittent problem, then it is most likely needed for you to check what the real score is. Even if the battery is new doesn’t mean that it’s working correctly on the inside. The battery terminals could be broken that you didn’t know, experiencing corrosion, loose, or some parasitic draw is eating all of that energy that is supposed-to-be powering the engine. You can check your battery cables. Cables that are going to the terminals should not be falling apart. They needed to be tight and firmly fit where they should be. 3. Your car accessories may not work correctly. You will see that your radio system is not working correctly like before when you first bought that car. Your power doors and windows are not the same. Your headlights, wipers, the lights inside your vehicle, and even your speakers are messed up! But no, are they all dead? Of course, not. These accessories are getting power from your car’s battery. 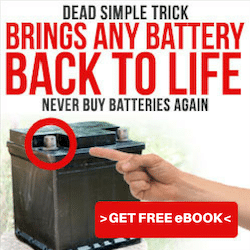 They don’t have their cells, and they will not work if your car’s battery is faulty. You might think twice, but there’s no one to blame for this except your dead car battery (or dying car battery). 4. If you smell something foul, then something’s wrong. I’m sure that you have experienced this even just once. It’s a foul smell like burning, rotten egg. And it’s disgusting, I must say! It is both sulfuric acid and water composed the lead-acid batteries. Yes, that smell coming from the battery is sulfuric acid and it’s sickening. Once a cell is about to die, some of the sulfuric acid and water evaporates causing the battery to overheat – thus making it smell like a rotten egg. 5. You can hear that “clicking” noise everybody is talking about. That clicking noise is easy to distinguish. The car’s ignition sound, when turned on, is different from this clicking sound. If the battery is still functioning correctly, and you try to turn your ignition on – you should hear the engine crank. However, if the battery is about to die – or dead – then you’ll only hear an annoying clicking noise. Once this happens, you can try to revive your battery by jumpstarting on it. If it does die again after the first jump, then it is maybe time to say goodbye – you need to buy a new one. Q1. Will the battery goes flat when the car is not driven regularly? Yes. These car batteries naturally self-discharge. It is not only driving the car that uses the energy of these batteries but also the other accessories that is attached to the vehicle. If your car has a lot of accessories in it, then by all means, it will self-discharge unless you remove the battery from it – or turn off all of those miscellaneous. Q2. 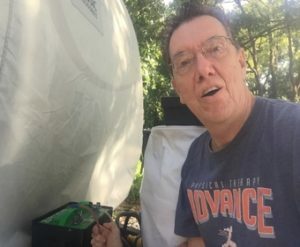 They say that you can use a car battery to run a fridge in a caravan, is it true? No. A car battery won’t function in a fridge properly. It will only reduce the battery’s life.  A refrigerator uses a deep cycle battery which produces just a small amount of energy over a long period. Q3. Is disconnecting the batteries going to save it from dying if you are going to be away for several weeks? Apparently, no. New cars today have their onboard computers that are there to run security systems for the vehicle, and they require continuous power to operate and might cause a glitch when you try to reconnect them after several weeks. If you are going to be away for several weeks for an extended holiday, it is safe to use a maintenance charger for the car’s battery. You can leave this connected for an extended period, and it will ensure your car battery remains fully charged while you are on vacation. Q4. Is it true that ‘maintenance free’ batteries don’t need servicing? Of course, not. There’s no maintenance free battery. The battery terminals need to be checked and cleaned which includes cleaning any acid build up on the outside of the cell. The alternator charge rate needs to check as well. Maintenance free is only a term. Q5. Can you use tap water to top up the water level of a car battery? No. If you need to replace the lost water in car batteries, please use distilled water or rainwater if urgent. Tap water causes mineral build up that usually hinders the pores and washes the plates of the battery. Once the cell plates are exposed, they can fail over time. Check this article will help you how to add water to your battery. Even if we try to be as cautious as we have to be, there are still times that we tend to forget the steps we need to consider to have our car’s battery last longer. How long can a car sit before the battery dies still depends on how we use and store it. 1. Keep your battery tightly fastened and make sure that the cables are intact. A cell that is not attached that way it should be could result in internal damage and possible short circuits. 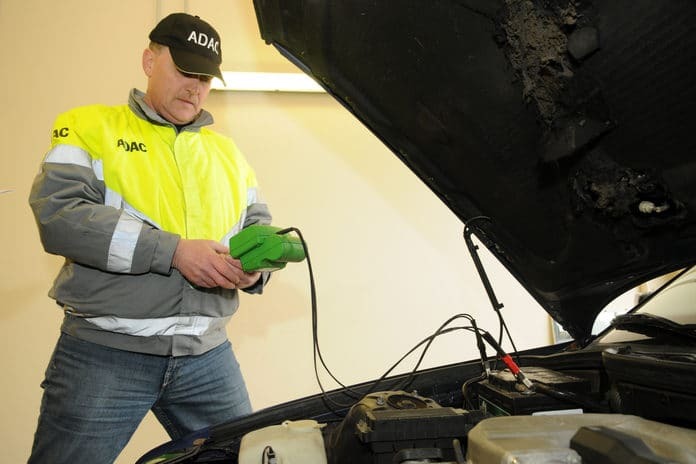 It is better to check your battery terminal tested now and then most especially if you are always traveling on a mountainous part of the road. 2. Test your battery. It is essential to know the overall condition of your car battery if you want it to stay longer than the usual. You can keep track your battery’s health with a car battery tester, and you will know if you need to check for replacement because it is about to die soon. 3. Save energy by turning off other accessories when your engine is not running. Turn off the radio or your air conditioner to save battery power. Long idling moments can wear the battery down as well.